Writing at Pew Research last year, Jacob Poushter shared University of Michigan research revealing how Muslim populations believe women should (be forced to) dress. …Only in Turkey and Lebanon do more than one-in-four think it is appropriate for a woman to not cover her head at all in public. The survey treated the question of women’s dress as a visual preference. Each respondent was given a card depicting six styles of women’s headdress and asked to choose the woman most appropriately outfitted for a public place. 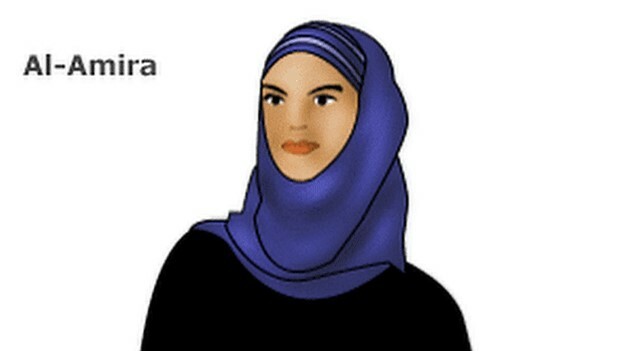 Although no labels were included on the card, the styles ranged from a fully-hoodedburqa (woman #1) and niqab (#2) to the less conservative hijab (women #4 and #5). There was also the option of a woman wearing no head covering of any type. Overall, most respondents say woman #4, whose hair and ears are completely covered by a white hijab, is the most appropriately dressed for public. This includes 57% in Tunisia, 52% in Egypt, 46% in Turkey and 44% in Iraq. 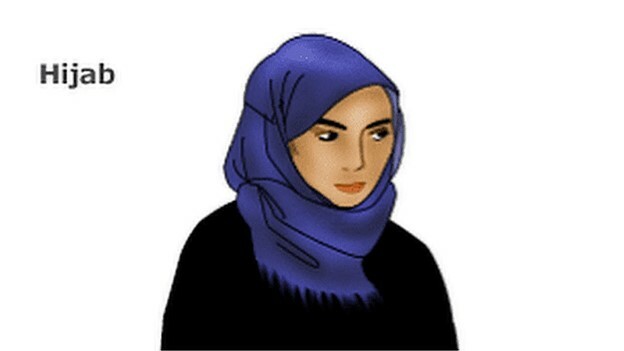 In Iraq and Egypt, woman #3, whose hair and ears are covered by a more conservative black hijab, is the second most popular choice. In Pakistan, there is an even split (31% vs. 32%) between woman #3 and woman #2, who is wearing a niqab that exposes only her eyes, while nearly a quarter (24%) choose woman #4. In Saudi Arabia, a 63%-majority prefer woman #2, while an additional 11% say that the burqa worn by woman #1 is the most appropriate style of public dress for women. In several countries, substantial minorities say it is acceptable for a woman to not cover her hair in public. Roughly a third (32%) of Turks take this view, as do 15% of Tunisians. Nearly half (49%) in Lebanon also agree that it is acceptable for a woman to appear in public without a head covering, although this may partly reflect the fact that the sample in Lebanon was 27% Christian. Demographic information, including results by gender, were not included in the public release of this survey. In this contemporary world with many refugees coming into our regions from Muslim countries, lots of people become afraid their culture may take over ours. Undoubtedly the last ten years we have seen the dresses of many women changing to less colourful hip fashionable dresses into monotone long dresses which are associated with Muslim faith. With the knowledge that observing hijab and covering the woman’s face in front of men would be established in the saheeh Sunnah that explains the Book of Allah according certain groups of Muslims. We should know that not all groups or denominations of the Islam do restrict women with strict dress codes which seem to limit their freedom, according our Western view. mean that this covering the face came from the Prophet, because he was there and they asked him about everything that they did not understand about their religion. When we want to live in a free democratic state we should allow to everybody the right to live according to their faith. This means that we also should respect those women who do want to cover their face with a veil, like they consider their religion wanting this from them. For many Westerners it is difficult to know the different outer garments of Muslim women. Some of them have totally a wrong idea about how a certain garment may really look like. this makes some even to be against some clothing which was also regular female dress in our regions up to the 1960ies. It is nice to be able to see the differentiates explained so clearly in the article by “an independent” who was a Beverly Hills Democratic Party lawn party member in Cheviot Hills (immediately south of Beverly Hills). Hijab, niqab, burka = lots of different kinds of coverings worn by Muslim women all over the world. Why Are We So Terrified of Muslim Women? Hijabs Oppress Women! 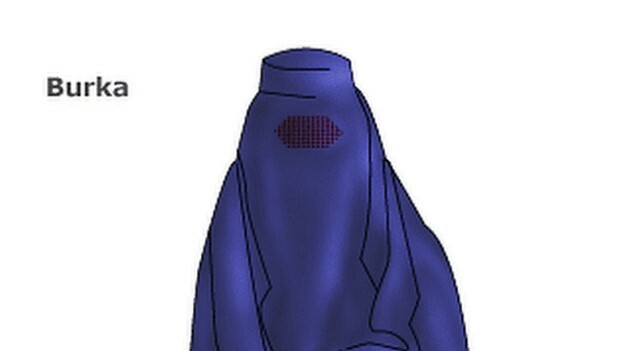 Unless It’s For Fashion…..
Is the Burqa truly Islamic? Burqas/Veils – liberating feminist attire or misogynistic throwback to primitive superstition? Who cares if supermodel Gisele wears a burqa? To ban or not ban the burqa? Il tuo burqa finisce dove inizia la mia libertà. Ode al Ticino. The final debate prior to a national election in Canada for the prime minister’s position was partially focused on the right of Muslim women to wear a niqab. The number of Muslims in Canada is about 1 million people. According to Canada’s 2011 National Household Survey about 3.2% of the Canadian population, making them the second largest religion after Christianity. Muslims are not likely to influence the outcome of the election. The dilemma for western nations is the question of acceptance of Muslims. If their growing numbers results in sharia law taking priority over national laws then there will be a problem. So what is a niqab? The BBC offered the following explanation and drawings of the various head covering used by Muslim women. Hijab, niqab, burka – there are lots of different kinds of coverings worn by Muslim women all over the world. Naturally the Quran is not the only source of law that is authorised by God. In that book is clearly also referred to the previous letters of men of God, like the books of Moses and the minor and major prophets. It is good to see how certain people of the Muslim faith want to mix the writings of those prophets with the writings of ordinary beings who lived after Muhammad and brought their own rules into books they say all Muslims have to follow. As such we do have to know and Muslims also should have to know, that what happened in Judaism and in Christendom also happened in Islam. Also in that religion human thought for many became more important than the Words of God Himself. The niqab has become a symbol of the Muslim faith. It is worn by many Muslim women in public areas and in front of non related males. Worn mainly in the Arab world and in the Muslim countries of Africa and Asia it has become part of our streetview as well the last ten years. Everybody should see that many Muslim scholars have invented extreme rules for women’s dress which are not found in the Quran. In our previous article we showed that some say that women should be totally covered except for their face, while others who are even more extreme, say that all women must be covered from head to toe except for two holes for the eyes to see! They should know if they want to dress accordingly they should take into account the dress-code of the country where they are willing to live in. In many European countries we may not walk naked on the streets, so we do have to respect that limitation of freedom, but also the opposite people may not be dressed so that nobody can recognise who is behind the outer garments. 1- Quran source of law that is authorised by God (6:114). 2- Quran complete + fully detailed (6:38, 6:114, 6:89 and 12:111). 4- God calls those who prohibit what He did not prohibit, aggressors, liars and idol worshippers (5:87, 6:140, 7:32, 10:59). in 24:31 = God commands women to cover their bosoms = crucial words mentioned in connection to this topic, namely the ‘hijab [Any partition which separates two things (e.g. that which separates God from creation)]’ + the ‘khimar’. 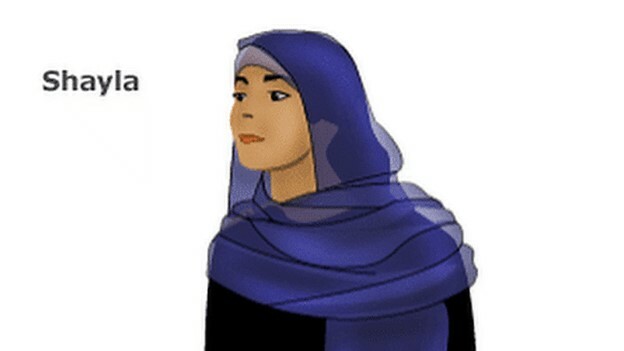 ‘hijab’ = veil or yashmak + screen, cover(ing), mantle, curtain, drapes, partition, division, divider. 7 times: 5 of them as ‘hijab’ + 2 times as ‘hijaban’ => verses: 7:46, 33:53, 38:32, 41:5, 42:51, 17:45 & 19:17. None used in Quran in reference to what traditional Muslims call today ‘hijab’ = head cover for Muslim woman! Mixing religion with tradition = form of idol-worship = implies setting up other sources of religious laws besides law of God. in 24:31 While the 1 basic rule of Dress Code for Muslim women can be found in 7:26, 2nd rule of dress code for women can be found in 24:31. Some Muslims quote verse 31 of sura 24 as containing the ‘hijab’, or head cover, by pointing to the word, khomoorihinna, (their khimars), forgetting that God already used the word ‘hijab’, several times in the Quran. Arabic word khimar = cover => Any cover such as a curtain, a dress, table cloth, blanket, a coat, a shawl, a shirt, a blouse, a scarf etc. found in 24:31 = God commands women not to reveal their adornments (beauty spots) except what is normally apparent (face, hair, lower arms and lower legs .. etc). very general term = to allow women freedom to decide on what is shown of her body. Righteous women = make correct decision so as to conform to general code of morality, + also according to time, place + occasion. word ‘zeenatahunna’ (adornments) in this verse refers to woman’s beauty spots which carry a sexual connotation, examples are “thighs, breasts, back side … etc) > expose details of certain parts of body. not say how long is long => God knows we will be living in different communities + have different cultures => insists that minor details of this dress code will be left for the people of every community to decide for themselves, as long as righteousness is always maintained. NP Explainer: What’s the difference between a hijab, a niqab and a burka? Al Queda Leader Captured Dressed As Woman. Should The U.S. Ban Burqas? S.A.S v France: Towards a General Prohibition of the Full-Face Veil in Europe? Are ‘Burkas’ The New Bandanas? Ban The Burka – An Excellent Idea – And Here’s Why! Face Veil: Why The Ban? 1- The Quran is the only source of law that is authorised by God (6:114). The recent attacks on Niqab wearing female bring up some earlier discussions I had last year and this year with different people of different religions. in Belgium burka’s may be forbidden but not much is done against those who still wear it. The regional government of Ticino has introduced fines of up to $13,000 for women (or presumably men too) wearing a burka or niqab in public. With the many Muslim refugees coming into Europe and with Muslim terrorists having become more active in our own regions people have become more afraid for those women and perhaps also men who are dressed so that we can not recognise who is behind the clothes. Under Canadian Prime Minister Stephen Harper, the previous Canadian government had hoped to persuade the Supreme Court of Canada to hear its case for striking down lower-court rulings that allowed women to wear the niqab — a face covering used by some Muslim women — at citizenship ceremonies. He was floundering in the polls until he turned the niqab into a hot-button issue. Some say he’s distracting voters from his poor management of the economy, his war on the environment and his anti-refugee policy. Interim Conservative leader Rona Ambrose, who was a member of the Tory government that filed the leave to appeal, issued a statement Monday following the Liberals’ announcement. The hatred shown to women who wear a veil should have many to rethink how those shouting awful words are educated. People also should see that there is a big difference in the outer garments and that in the 1950ies women in our regions also wore veils and head scarf and this should still be possible today by all women, not only Muslim women and had nothing to do with giving women no rights. First let me say that I think on most things we actually agree– i.e. religion should be separate from state, and no state should be dictating to its citizens what they have to do or believe when it is a matter of personal faith and choice. 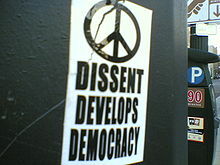 Our disagreement is over what the Ottoman empire and Turkish government do/ have done on this subject. My knowledge on this subject comes from being married to a Turk, but also more than that because I have many Turkish friends; one of whom, a very good friend of mine, also happens to be a Turkish historian specializing in the Ottoman Empire and history of the early Turkish republic. My definition of religious freedom is being able to freely practice the tenants of one’s faith without interference from the government (as long as doing so does not harm anyone else). By this definition, the fact of the matter is that under the Ottoman Empire there was religious freedom in that anyone of any faith was free to live out their faith. Yes, the empire was strongly intertwined with Islam. But they did not prevent people of other faiths, namely Christians and Jews, from living out their faith freely. No one was forced to wear anything. No one was forced to be Muslim. Christians and Jews lived peacefully and freely alongside Muslims in the Ottoman Empire for centuries.I believe what you are thinking of when you speak is about modern day Saudi Arabia. Personally, I disagree with their forcing everyone to abide by their version of sharia law; not only is it un-Islamic to force people to live by sharia, but many of the rules in their version of ‘sharia’ have no basis in the Quran or hadith. In those articles on different platforms and on her site I also discussed the ‘Islamic Hijab (Veil)’ and wondered about the responsibility both men and women have in applying Hijab, as well as addressing the doubts one may have, and logically explaining ‘Why Hijab?’. In my historical articles I looked at woman in the previous centuries, deprived of her human values and transposed to a material thing used by men for enjoyment or sometimes used as a slave and how the danger exist certain groups are willing to come to such a situation again. The fact remains that the exploitation of a woman and deprivation of her rights, the confiscation of her humanity reached a point where it became difficult for modern man to imagine, but we at present time can imagine how certain groups again try to push women in a certain corner and do not want them to show their own self to others. In line with the specification, we were told to discuss the disadvantages that women face in the developing world and then discuss whether the West has helped the developing world to lessen the disadvantage faced by women living there. I thought about the law in France that introduced the banning of the Burka in public. The aim of the law was, at least in part, to enable the integration of all sections of society by reducing perceived pressures on women to conform to what was thought of as male oppression in certain communities. In this example, it seems, the women who it effected most were consulted the least, thereby possibly subjecting many of them to alienation or a different form of oppression. No objections should be made for women in the West wearing a headscarf, a hijab, a shayla, a khimar or wearing a al-amira or the more closed chador. Concerning the niqab there may be many debates and controversy, but in the West we should reject when it leaves only some place for the eyes and does not see the whole face. 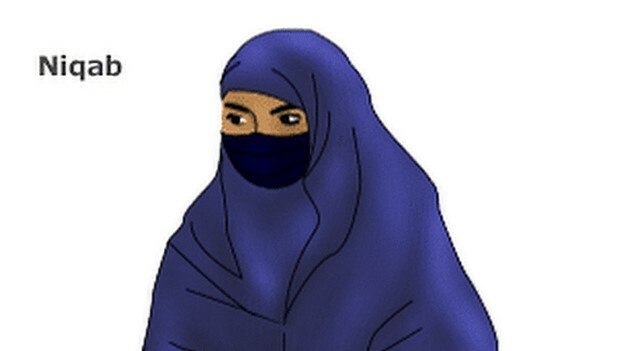 The use of a burka should be prohibited for security reasons and for the possible restrictions for the person wearing it, that may be behind it. though we must recognise there are also many differences in sorts of burkas. The burka worn throughout Middle Eastern nations and most Muslim nations around the world, with a few liberal or democratic governments being less strict about its use can leave just a small line open in front of the eyes or can show more of the eyes.. According to me Islam may be a religion of balance, moderation, and modesty that places a strong emphasis on the maintenance of proper boundaries, whether social or moral. The practice of hijab among Muslim women is grounded in religious human doctrine, yet the Qurʾan does not require it. To cover their faces is according to me a man-made religious ordinance and not a Low from Allah, but in case women would like to wear a head scarf this they should be able to do. Concerning the burka, that is a whole different matter and this should not be allowed for the reasons said above. It doesn’t matter whether or not YOU believe hijab to be a religious obligation. Many Muslim women (including myself) read the Quran and decide for themselves that it IS a religious obligation, or at least that they believe it is an important part of their faith, something that God wants them to do as a part of being modest. This is their opinion, and their right to decide. They have a right to live their faith how they feel they are supposed to. However, I do want to point out that there is a flaw in your understanding of the Quran verse you quoted. The flaw is in the translation of the original Arabic word: “they should draw their veils over their bosoms.” The word ‘veil’ here is ‘khimar’. 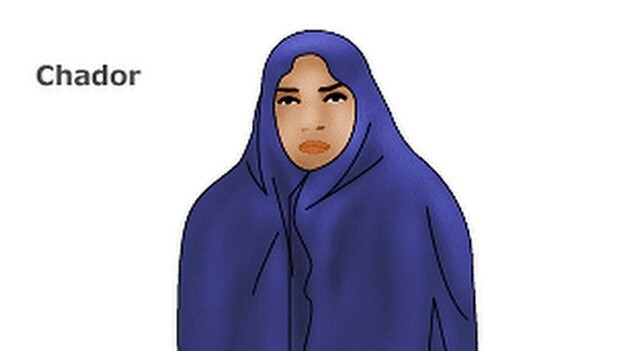 It means a garment/ scarf / veil that covers the head (and possibly also face). So the implication is that the head covering should also cover the chest (there is some disagreement as to what exactly a khimar was, but most agree it was a shawl type garment that covered the head. This is why some such as myself do not feel it obligatory to cover the head). There is also another verse that discusses covering, again using the word ‘jelabib’ in Arabic: “O (most illustrious) Prophet! Tell your wives and your daughters, as well as the women (wives and daughters) of the believers, to draw over themselves some part of their outer garments (when outside their homes and when before men whom they are not forbidden to marry because of blood relation). This is better and more convenient for them to be recognized (and respected for their decency and decorum) and not harassed. God is indeed All-Forgiving, All-Compassionate” (Quran 33:59). The word “outer garment” here is actually the word ‘jelabib.’ There is of course some disagreement between Muslims regarding what exactly a jilbab/ jelabib is, but most agree that it means a loose outer garment that also covers the head. But because neither of these verses are clear, many, including myself, understand when Muslim women choose not to cover their heads. Those who insist that covering completely in niqab (covering the face, i think this is what you mean by burka) or even insist on telling Muslim women that they MUST were hijab are wrong in forcing their beliefs on others, however, it does not mean they misinterpret the Quran or that they say there is something there that is not — who are we to judge who is right or wrong in the interpretation of something that is not clear today? Why the intention to ban burkas in Switzerland is more than just right-wing politician rhetoric. Is a ‘burka ban’ really necessary in Switzerland? A must watch: Why are you wearing that? Is Muslim female face covering nothing more than sharia Bolshevism? What other customs will be imposed on us? This Election has become a scandal beyond all proportion — Voter Fraud being encouraged by FB group. Middle East Lifestyles – What about the ladies?